A mixture of species which provides a perfect rearing/release pen mixture. This mixture establishes rapidly and forms a hardwearing sward which will withstand intensive stocking. The legumes included will fix nitrogen and attract insects. 23% Late Perennial Ryegrass (Diploid). 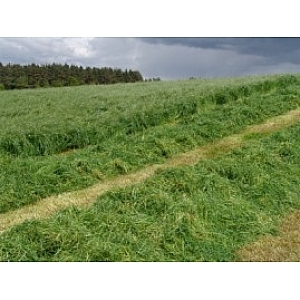 Long term horse grazing with an option to produce a quality hay crop. 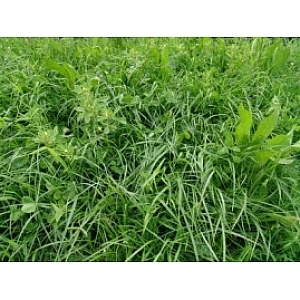 HorseMax Paddock is designed using diploid Perennial Ryegrasses, Timothy and Creeping Red Fescue. Sward density is a key consideration as both grazing and winter feed are often produced from the same area. Timothy is much favoured by horses and in particular gives hay a sweet smell and is very palatable. Creeping Red Fescue is key to keeping the sward together and because of its growth habit quickly repairs the turf when damaged by the hooves. 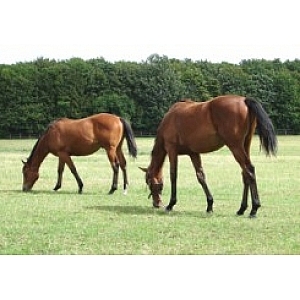 DLF Top Tip: To reduce wear overseed horse paddocks at 10kg per acre. GrassMax™ overseeding mixtures have been designed to meet the precise requirements of the field and its intended use. It is important to remove all surplus growth from the existing sward before overseeding.